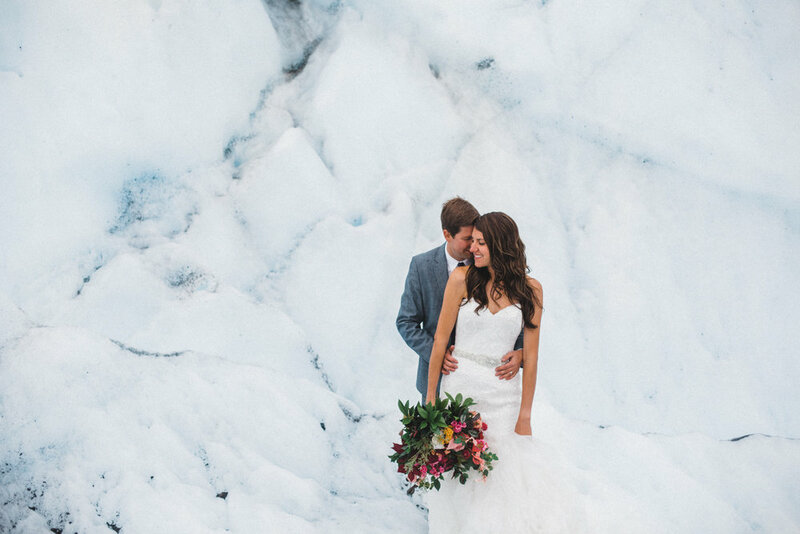 Meagan is one of the besties from college—I'd shot her and Brad's wedding a couple years ago and she'd always mentioned she'd love to do a shoot on a glacier one day. That's when you can go glacier-walking and not need much more than a light windbreaker. We were granted good weather to have some adventure and we were off! I hadn't gotten a chance to see them since their wedding, so a whole weekend hanging out (with good weather on top of it) was an incredible treat. Topping it off with this was just the perfect cherry on top. Totally going back for winter. Twas okay though; she came prepared and we progressed undeterred.